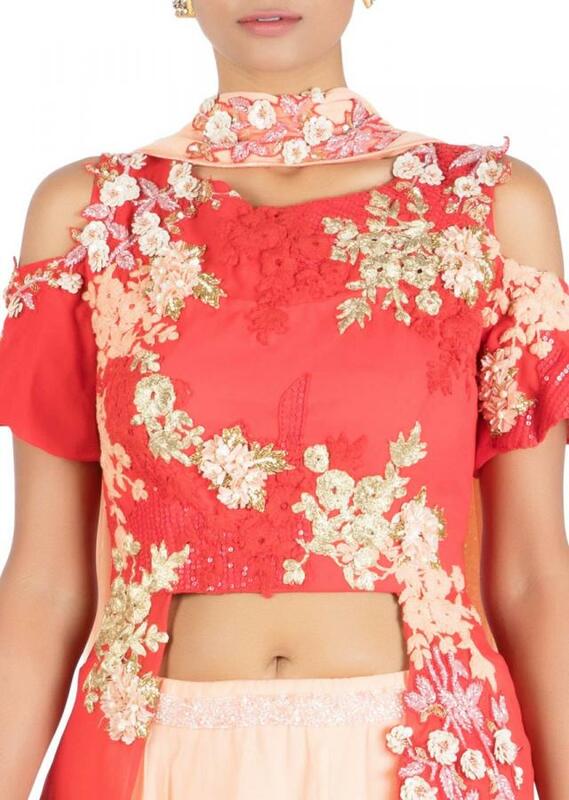 Red, PeachFeaturing a Red Cold Shoulder Long and Short Flare Blouse Heavy Lehenga Set The blouse is gorgeously embroidered with intricate work of cutdana,sequins and thread using monotone and contrast peach colors. The lehenga and dupatta are a light peach color, the dupatta is pre pleated with an embroidered brooch style. 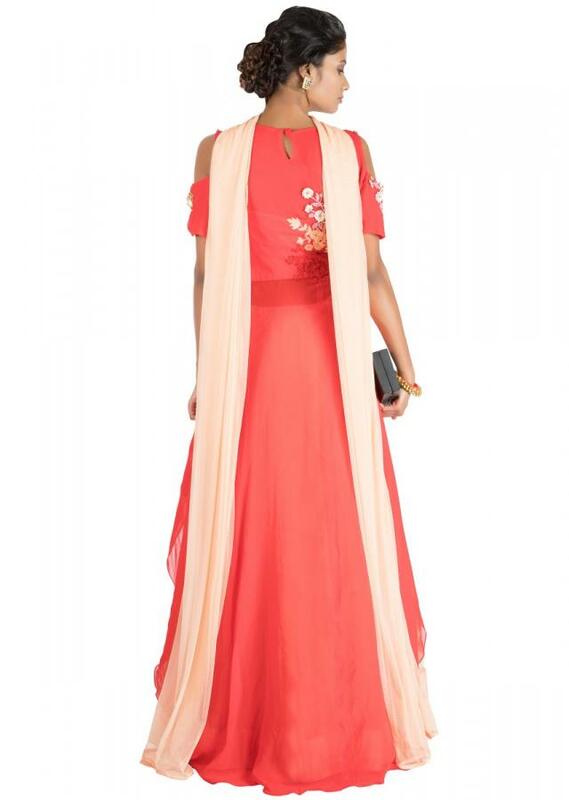 FABRIC SPECIFICATION: The lehenga is made of hard net with chiffon inner and taffeta lining and cancan. The blouse is made of georgette with taffeta lining. 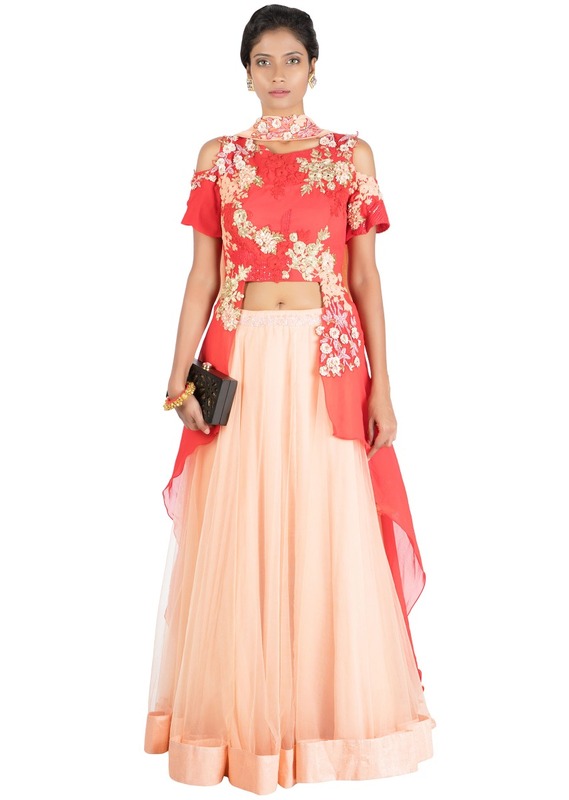 Full length of the blouse is 15" front and 58" back and the lehenga is 41".